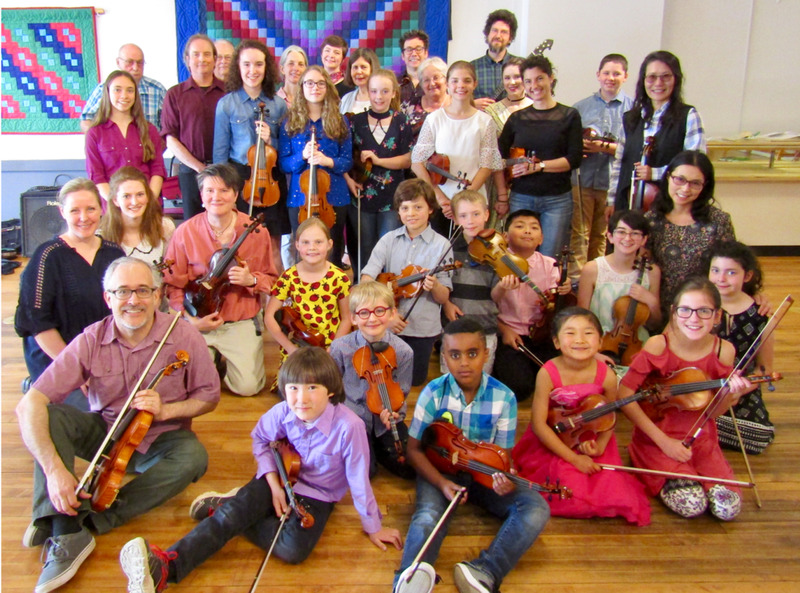 The Madstop Fiddlers of Potsdam, New York (Potsdam spelled backwards) is a multi-generational fiddle ensemble of fiddlers who are enthusiastic about sharing Old Time, Celtic, Quebec and Nordic fiddle music, accompanied by their musical family members. Under the direction of their teacher, Gretchen Koehler, small bands can be heard playing tunes for New England contra dances, Quebec Sugaring Off parties, farmers' markets, cafes, historical societies, places of worship and Old Time jam sessions to the delight of audiences around the North Country of Northern New York. TAUNY's Heritage Award recipient, Gretchen Koehler, talks about teaching. 92 year old Madstop Fiddler says you are never too old to take up the fiddle. The Madstop Fiddlers warm up for a ST. PADDY'S DAY radio interview! The Madstop Fiddlers play Rd to Lisdoonvarna to wish their friends a Happy St. Patrick's Day! Madstoppers with special guest Don Woodcock play OLD TIME Westphalia Waltz in 3 pt. harmony. Gretchen & Sylvain play the original SCOTTISH melody to to Auld Lang Syne to ring in 2018. Madstopper Paul rehearses Trad. ENGLISH Carols for an upcoming performance. Madstop Fiddlers play IRISH session tune, Silver Spear. Madstop Fiddlers learn NEW ENGLAND CONTRAS & FOLK DANCES.